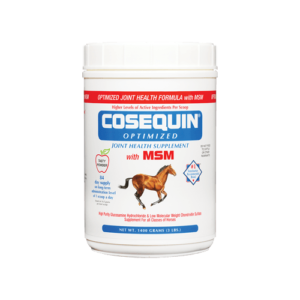 What is Cosequin® Optimized with MSM? 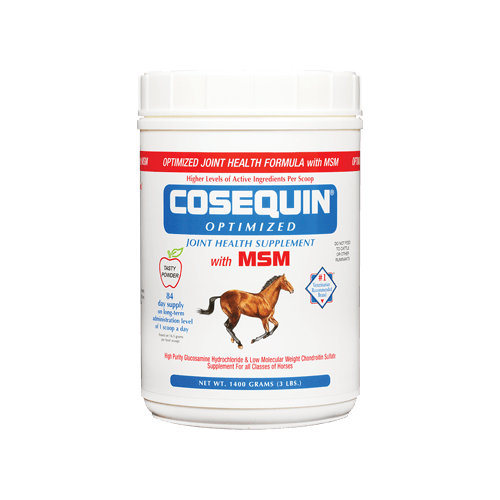 Cosequin® Optimized with MSM is a tasty powder containing higher levels of active ingredients compared to the original researched formula, with the addition of high quality MSM. 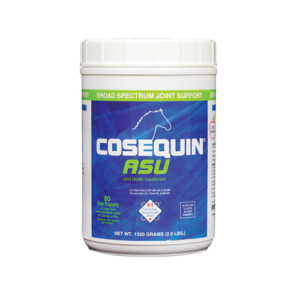 The increased amounts of ingredients in Cosequin® Optimized with MSM stem from current opinion suggesting that horses in work may benefit from higher levels of Glucosamine. 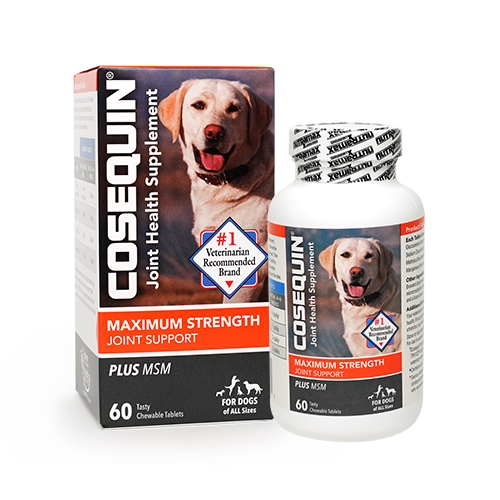 In addition, some veterinarians suggest using MSM to help manage joint health. 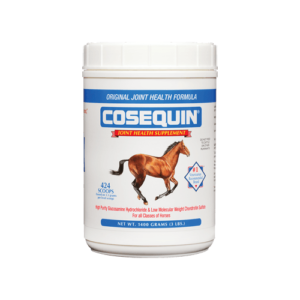 This product is a convenient way to provide MSM along with the proven ingredients in original Cosequin®. This chart should be used for guidance. 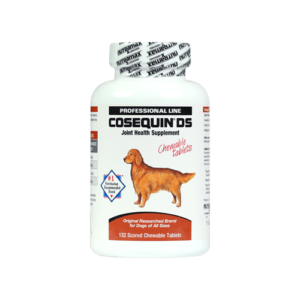 ± Cosequin® Optimized with MSM contains FCHG49® Glucosamine and TRH122® Sodium Chondroitin Sulfate, proprietary veterinary researched specifications. 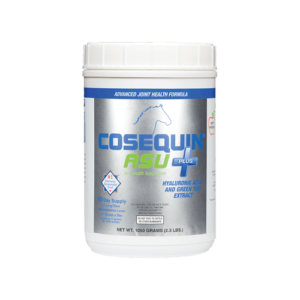 † Contains up to 10% moisture.